If you happen to be in a relationship, married or separated, ask yourself these two very serious questions, Why are you trying to get into another relationship, when you already have someone at home to love? Or how do you expect a man or woman to take you seriously if you haven't dealt with or resolved your current situation? While you thinking about an answer to this question, I will give you a mans perspective to this question. I or any man that I know of, will only treat a woman they are interested in, by what they see or by what they perceive. Which mean if you are still in married or in a relationship then you will be treated as such. No man or woman should expect someone on the outside to treat them as if they are the only one, if they are not willing to do the same. After all it is what it is, you are married, still in a relationship and even if you are separated that still doesn't give you the right to get into another relationship until its over or done. To those who would even consider getting involved with someone that is still married or with someone who is still in a relationship I offer you this advice. Please don't! And here is why, If they are thinking about cheating on their current spouse or mate, what makes you think that you are so special or unique that they wouldn't do the same to you? 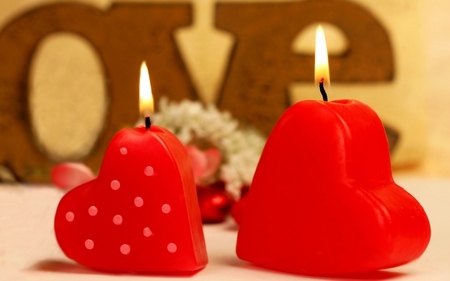 Its a known fact that most people that are currently in a marriage or relationship usually go back to the person they are with or they instead play both ends of the candle. In other words they keep the person they are involved with and also the person they are cheating with. Take it from me because I have experienced this for myself , its not fun and all that comes with it is a lot of drama, confusion or pain. If it wasn't for my late grandmother giving me this same advice and knowledge that I am passing on to you , I would be in a world of hurt! In my past life I got involved with a woman only later to find out that she was married. We were together for 5 months with each day she promising me that she would leave her husband but it never happened . I thought maybe we would be together for Christmas, then came New Years and after that Easter. Until the day she met my grandmother, that was a day I'll never forget. My grandmother asked me after she left , Baby? She would go on to say, is you crazy? ( For those who just read this last sentence and think its not proper english. Well you are right! My grandmother is a Cajun and that's how they spoke in those days) I then said , no grand. Then she went on to say, you must be, because first of all its wrong to date or to be involved with someone that's not yours. Baby she belongs to someone else, let that go! Before you get hurt or I hurt you! (smile) I then told my grandmother that I loved her, then she cut me off before I could say another thing or word and said you will get over it! Believe me baby there are more fish in the sea, so you might as well go out and catch your own! She was right, I got over it, moved on and after the pain I am better, or wiser never to make that same mistake again. After The Pain! Write in, then express or give your thoughts or opinions on the subject.